There will be panel discussions with high-profile speakers, workshops, networking opportunities, delicious food from ​Fresh & Co​, and an exclusive evening reception, not to mention all that New York City has to offer. For more information and to register, check out their website​. The Summit will be held at New York University (NYU) on May 20th and 21st, 2017. Register before 2/28 for an early bird ticket and use our code #BRIGHTERGREEN10 for 10% off. 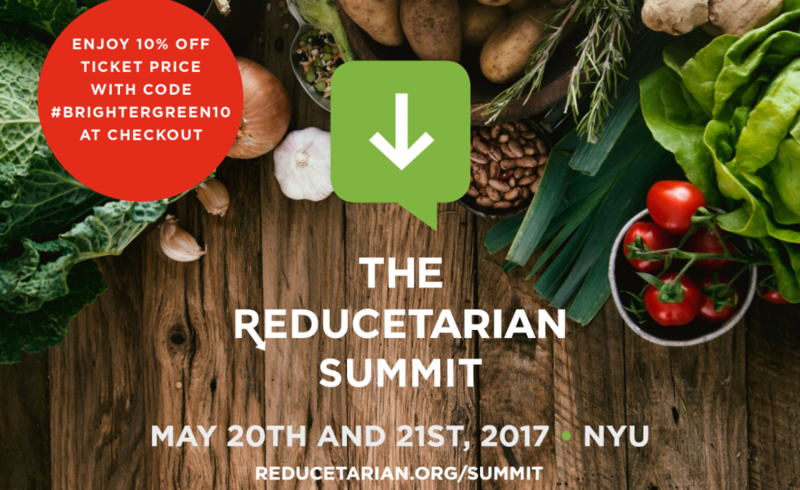 Join leaders from all corners of the reducetarian movement in moving the needle on societal meat consumption!